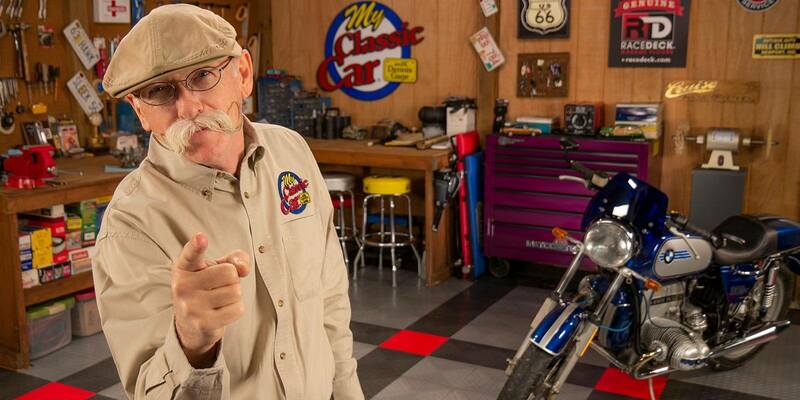 We know you have the coolest garage on the block, but is it the coolest garage on TV? Enter to find out! RaceDeck has teamed up with host Dennis Gage of the hit TV show My Classic Car to give you the chance to showcase your garage on national TV! Dennis and his camera crew will be traveling to tour our mega winner’s garage for a featured segment during the 2020 season of My Classic Car. My Classic Car, airing on MotorTrend, is in its 23rd season of following host Dennis Gage across North America to various auto shows and events and now the show will follow Dennis to you! This is the first and only contest of its kind, making our winner a part of MCC television history! Our winner will have a cool, unique garage with a rad RaceDeck Garage floor, a drool-worthy ride and/or car collection, and of course vintage accessories that make his or her garage really stand out. Submit your entry here with photos and/or video, being sure to tell us your story! The garage, after all, is only as cool as its owner(s). Enter by October 14, 2019. The grand prize winner will be announced via Facebook live at the 2019 SEMA Show in Las Vegas Nevada. We can’t wait to see what you’ve got! My Classic Car and RaceDeck Coolest Garage Contest from SnapLock on Vimeo. By submitting, you agree to allow RaceDeck to use your images, videos, and testimonials for marketing.